The six-time premiership player and four-time premiership coach will attend an official function at the tournament, which will feature an Under-16 New Zealand Falcons side playing a touring ACT side at a number of venues around Canterbury. 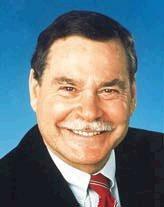 Barassi, who was inducted into the AFL Hall of Fame with 'Legend' status in 1996, captained and coached the Melbourne Demons, in addition to coaching the Carlton Blues and North Melbourne Kangaroos. He has long held a keen interest in the growth of Australian football outside Australia, which has led him to lend his name to the BIAFYT. In a statement on the New Zealand AFL, Barassi states his pride in being involved with the BIAFYT tournament and in being Australian. The AFL legend goes on to state his hope that the tournament can bring "the youth of the world a little closer together through the great Australian game". Information regarding the BIAFYT, a transcript of Barassi's statement and a full list of his AFL achievements can be accessed here.